Let’s take a tour around the towns! Here are the approximate distances and travel times. 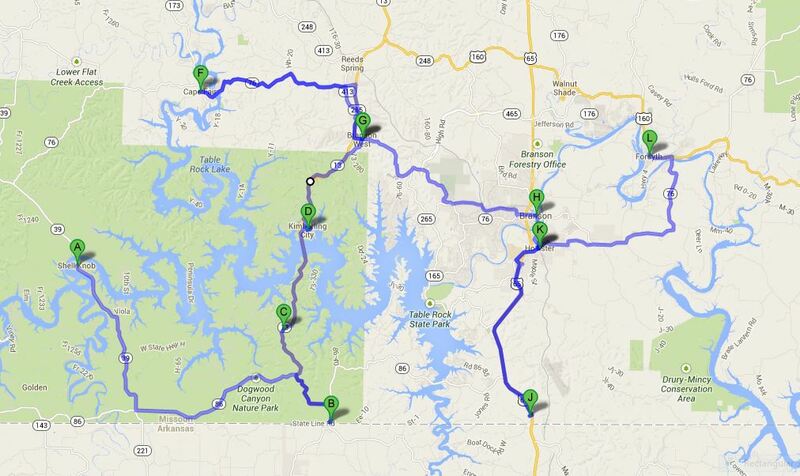 ♦ G to H: Branson West to Branson 11.6 miles, about 22 minutes (to downtown). *All mileage is approximate. Map & mileage courtesy of Google Maps.